The Giant Board Games Extravaganza!!! This is a team building program like never before. Small teams take part in a friendly competition against each other in a Tournament of Giant Board Games. All programs are completely custom! Based on the amount of participants in your group, we can customize the team building program to fit your size group and budget! 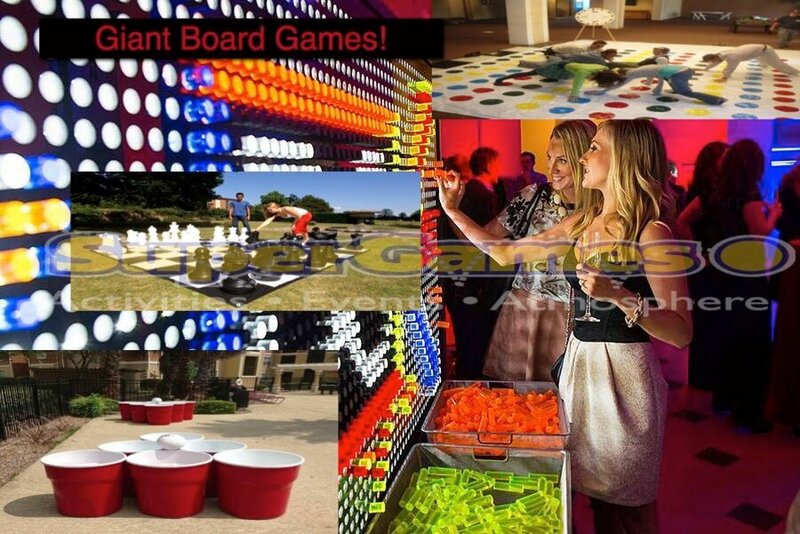 Everything from Giant Dart Boards, Human Size pool tables, Giant connect 4 and Battle ships. This is a blast from the past and will get everyone involved and excited to play.